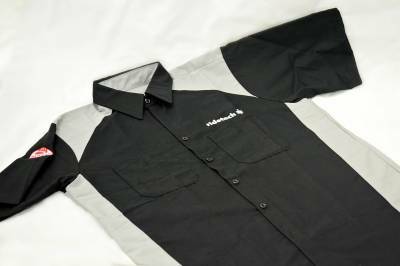 Button-Down Shirt, Black & Grey, Medium. The wife getting angry that you're always wearing a t-shirt on date night? Soothe the savage beast with our more professional button-down model. These button-down embroidered beauties are a 65-35 poly/cotton blend.